Fri., Jan. 4, 2019, 10:54 p.m.
MILWAUKEE – Mike Budenholzer’s first game against the team he coached for five seasons was no contest. 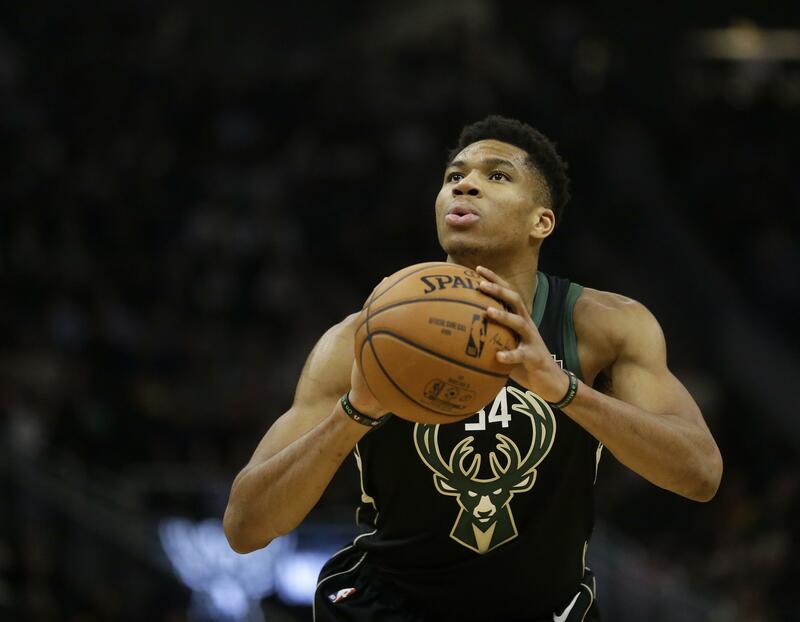 Budenholzer’s Milwaukee Bucks rolled to a 33-point halftime lead and coasted to a 144-112 victory over the Atlanta Hawks on Friday night for their fifth straight victory. Giannis Antetokounmpo finished with 16 points, eight rebounds and 10 assists, and Khris Middleton scored 19 points while hitting all four of his 3-point attempts. Malcolm Brogdon also scored 19 points and point guard Eric Bledsoe added 14 points and eight assists. Milwaukee (27-10) improved its NBA-best record and won for the ninth time in 10 games. The Bucks tied a season high for points in a game, equaling their total points against Sacramento on Nov. 4. Antetokounmpo and the rest of the Milwaukee starters did not play in the fourth quarter and got some rest before the Bucks’ showdown with Toronto on Saturday night. The Bucks shot 55 percent from the field and were 14 of 40 from 3-point range. Budenholzer led the Hawks to the playoffs in four of his five seasons with the team and his 2014-15 squad won 60 games and reached the Eastern Conference finals. DeAndre Bembry led Atlanta with 19 points. BOSTON – Gordon Hayward had 16 points, 11 rebounds and eight assists, Jaylen Brown scored 21 points and short-handed Boston beat Dallas. CHICAGO – Victor Oladipo made a 3-pointer from just above the top of the arc with 0.3 seconds left in overtime and Indiana beat Chicago for its sixth straight victory. Oladipo had 36 points and seven rebounds, and Domantas Sabonis added 23 points and 12 rebounds in the first game of a five-game trip. Chicago’s Zach LaVine hit a 3-pointer from the corner, but after time ran out in the extra period. LaVine led Chicago with 31 points. He made two 3-pointers in the closing moments of regulation to tie it at 105 and send it overtime. He hit the first 3 with 17.3 seconds left from outside the left side of the arc, then knotted it with 3.9 seconds remaining from almost the same spot. PORTLAND, Ore. – Paul George scored 37 points and Oklahoma City snapped a six-game losing streak to Portland. Russell Westbrook added 31 points for the Thunder, who had also lost eight straight games at the Moda Center dating to February 2014. Damian Lillard led the Trail Blazers with 23 points and eight assists. MIAMI – Hassan Whiteside had 21 points and 18 rebounds and Miami beat Washington to move over the .500 mark for the first time since late October. The Heat have won 12 of 17 to improve to 19-18. Josh Richardson added 18 points, James Johnson had 17 and Dwyane Wade scored 14. The Heat had lost each of their last four games in which they could have gotten over .500, where they last were on Oct. 27 at 3-2. Washington’s Bradley Beal had 33 points, nine rebounds and seven assists. The Wizards have lost eight straight. MEMPHIS, Tenn. – D’Angelo Russell had 23 points and 10 assists, DeMarre Carroll added 20 points, including a season-high five 3-pointers, and Brooklyn beat Memphis. Joe Harris added 18 points for the Nets. Brooklyn won for the 11th time in 14 games and avenged a 131-125 double-overtime loss to Memphis on Nov. 30. Mike Conley, held scoreless Wednesday night in a loss to Detroit, led the Grizzlies with 31 points. MINNEAPOLIS – Karl-Anthony Towns had 29 points and 15 rebounds, and Jeff Teague added 23 points and 10 assists in his return to the Minnesota lineup in the Timberwolves’ comeback victory over Orlando. Taj Gibson added 14 points and 10 rebounds for Minnesota. The Timberwolves recovered from a 19-point deficit midway through the second quarter with a 44-12 run through the 5:51 of the third quarter. Nikola Vucevic had 22 points for Orlando, but just eight after the first quarter. CLEVELAND – Donovan Mitchell scored 18 points and Utah dominated the second half, sending Cleveland to its eighth straight loss. Cleveland (8-31) has the worst record in the NBA, with four of the losses in the streak coming by 20 or more points. Down a point at halftime, the Jazz outscored the Cavaliers 69-42 in the second half. Jae Crowder, acquired from Cleveland last season, scored 16 points. Ricky Rubio, who was listed as questionable with a sore left foot, added 15. Alec Burks scored 17 points for the Cavaliers. PHOENIX – Danilo Gallinari and Lou Williams scored 21 points apiece and Los Angeles extended its dominance over Phoenix. Marcin Gortat had 18 points and 13 rebounds and the Clippers beat the Suns for the third time this season and 11th time overall. Devin Booker scored 23 points for the Suns. LOS ANGELES – Tim Hardaway Jr. scored 22 points, Trey Burke added 16 and New York snapped its eight-game losing streak with a victory over Los Angeles. The Lakers dropped to 1-4 without LeBron James, who is sidelined with a left groin strain. Los Angeles also played without second-leading scorer Kyle Kuzma, who has a bruised back. New York capitalized on the Lakers’ injuries to earn just its second win in 15 games. Published: Jan. 4, 2019, 10:54 p.m.